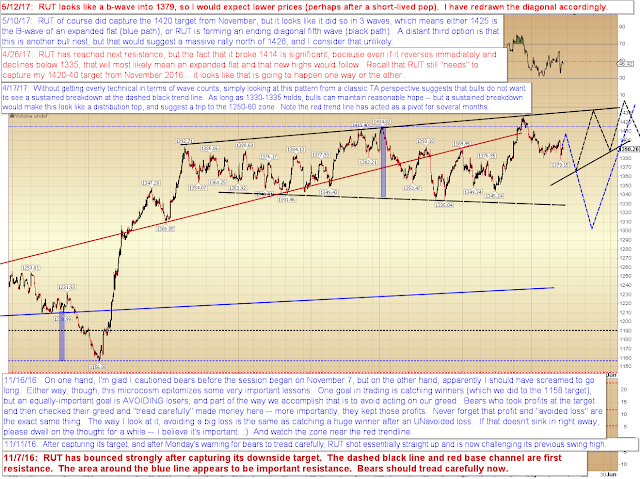 SPX has continued trading in a very narrow range, but that may nearing resolution. It's a bit difficult trying to sort out one wave from the next in this tight messy structure, but one possibility is discussed below. If this count is correct, then we're getting close to a more sizeable correction -- the market in this scenario would simply be unwinding the remaining micro fourth and fifth waves before embarking on a large fourth wave correction at much higher degree. Another option not shown above is that we're still unwinding red iv -- if that were the case, then the sideways grind would continue for another week or so (let's hope not). In conclusion, SPX may wrapping up its micro fourth and fifth waves. 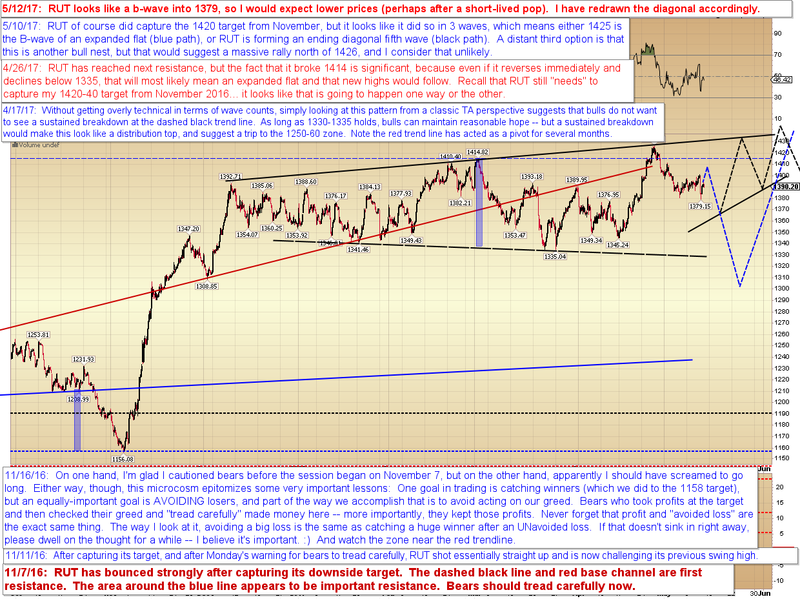 If that's what's underway, we may see a couple more short-lived head-fakes higher before a larger correction. 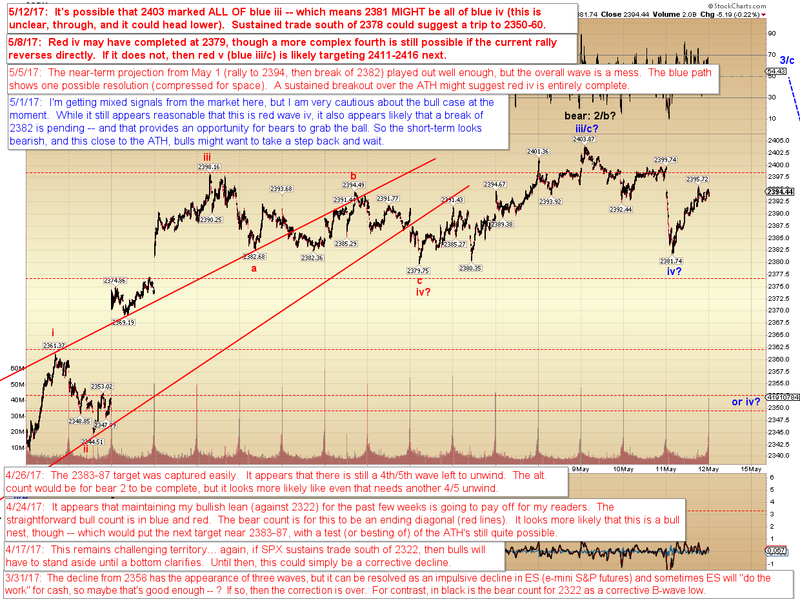 If SPX sustains trade south of 2378 more immediately, then we're probably headed to at least 2358 over the short-term. Trade safe.